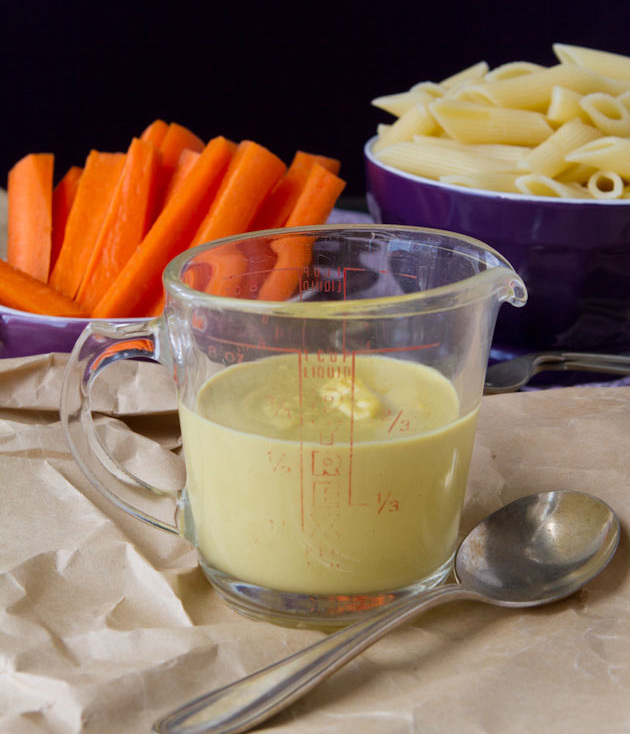 Ultra cheesy vegan sauce that’s free of nuts! Feel free to replace the coconut oil with whatever oil you have on hand. 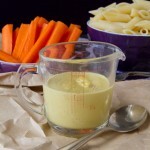 The great thing about using coconut oil is that, when heated, the sauce is runny and perfect “cheese sauce” consistency. But when chilled, it is similar to a cheese spread. If another type of oil is used, this may not be the case.